Fitbit Comparison Chart – What is the Best Fitbit Model for You? The market of having a track of your health hasn’t exactly been focused on women. The Smartwatches made they first impressions as chunky and unattractive gadgets targeting fitness buffs and technology freaks. Thankfully, those days are over and the tech companies now know the importance of designing wearable technology that is both functional and attractive. It can be really hard to choose which is the best fitness tracker having in mind that are currently around 45.000 different trackers on Amazon, and there’s a new Fitbit every few months. But that is not all! now you need to think on the women that are going to be using the tracker. What are the activities that she needs to cover? Is she (or you) a runner? or maybe she is more into yoga?. Depending on the workout and style of the women there’s going to be a different Fitbit for each of them. 7 What size Fitbit Should Women Get? 7.1 What do you need to measure your wrist? 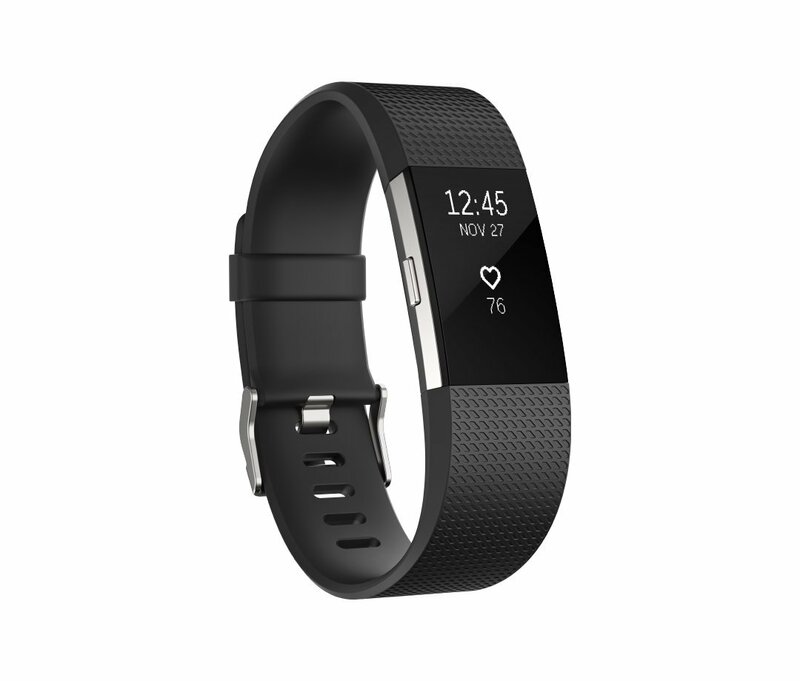 7.2 Which Fitbit size is the best for your wrist? There’s one thing for sure that all the tracker has in common, studies have found that the best smartwatches can boost both your motivation levels and actual daily activity. Women these days prefer to stay active and informed about their fitness regime. This is why Fitbit has become a staple fitness product for most women. The Versa is the first Fitbit created with women in mind, with the biggest feature up today when it comes to tracking women’s cycles. The female health tracking function will give you the ability to stay in tune with your body. You will need to start to log data of your menstrual cycle so, once there’s enough data, the tracker will be able to give you predictions on when your cycle is going to be, where you are in your cycle, the days that you are more fertile, and so on. Besides, you will be able to predict symptoms such as headaches, acne, and cramps. The data will keep improving and getting better over time so you can get the most accurate information at a glance of your watch. The main focus of Fitbit is to help women learn and understand how their cycle is connected to their overall health. The research found that 80 % of women didn’t know how many phases are in a menstrual cycle and that more than 70 % could not identify properly the average length of a cycle. You can find this feature on the Fitbit app since 2018, but the only 2 smartwatches that can deliver the data at a glance are the Versa and the Ionic. It is a great feature for young girls so they can learn more about their menstrual cycle, ovulation, fertility and common misconceptions with educational content through the Fitbit app. This data can also be helpful for fertility planning and general reproductive health which is a great plus. If you are a woman that is a professional runner the Surge and the new Ionic are the only ones that feature built-in GPS. But they have a more manly look in our opinion, that’s why we choose the Alta Hr as our best pick for women that like to have accurate statistics about their running and their heart rate. 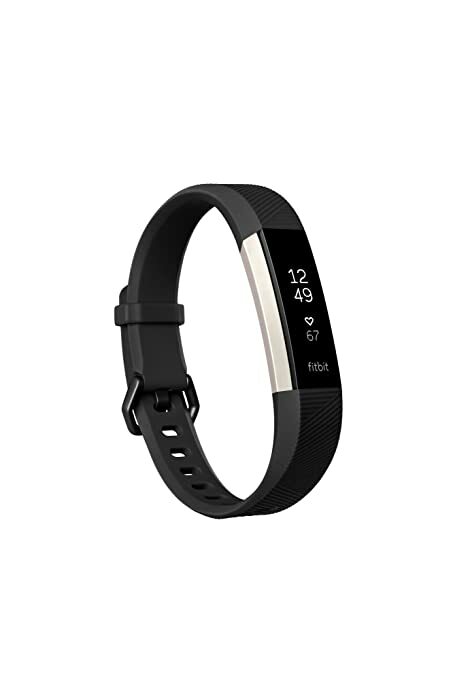 The Fitbit Alta HR is the tracker for those women that would like to run and have an accurate track of their pace and heart rate but without losing the style on their wrist. With the ability to track your heart rate this smartwatch makes a great partner when you want to have accurate data for your runs, giving you the peace of mind that you are going healthy not only with your activities but also with your pulse. Another feature that helps with your overall health is the reminder to move around every hour. The Alta HR can track besides your steps and distance, your calories as well. this tracker is ideal for those women that like to have high-intensity workouts. From the price point of view, this tracker is in the middle ground at $148.95 and is available in different colors, you can also add an accessory band that can change the entire outlook of the tracker for just an extra $9.90. It sits very comfortably on the wrist. The biggest difference from the others models is a buckle beside the clasp that helps to make it more secure. This design allows the heart rate sensor to make more accurate readings. The Alta HR is a lightweight device and very impressive indeed with just 15mm width. This means that it is slightly more spacious than the Flex 2. It is water resistant but not swim proof so you are not able to use it in the pool or even to take a shower with it. Automatically track your steps, distance, calories burned and active minutes. When you need a tracker for workouts you need a real fitness tracker, something that can track your routines and give you a feedback on how to improve day by day. Thas when the Charge 2 makes a lot of sense. When it comes to fitness trackers for women, the Fitbit Charge 2 has it all. Introducing amazing features and a bigger display, you can keep track of all your workouts in an efficient way. Use the Cardio Fitness Level, and get a cardiovascular rating based on an estimate of your VO2 Max. You also have the Relax mode, a new on-device guided breathing feature that will walk you through short breathing exercises to help you lower blood pressure, reduce stress and lessen anxiety. Fitbit not only was thinking about great activity tracking they also have in mind design when they made the Charge 2. This device not only looks more like a piece of jewelry and less like a standard fitness tracker, but you will also have the option to change out the bands if you’d like to have more options when you go out. There’s also a special edition that comes in Lavender Rose Gold that looks really good and cost $179.95. 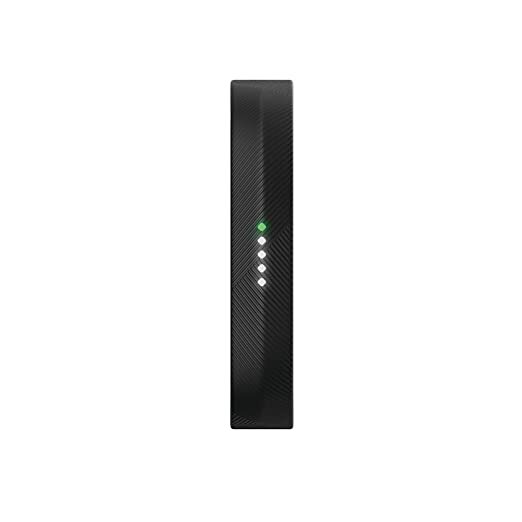 This tracker has a good price point and it will help maximize your workout and track your heart rate while working out. The Charge 2 is really comfortable to use and will automatically track your heart rate to give and give you accurate data about the number of calories you will burn in a day. You can get the best from your workouts with its heart rate zones feature which has been simplified for your use. You will have 3 different options to select depending on the type of workout you want to do – Fat Burn, Cardio, and Peak. You can get a better understanding of your fitness routine and then adjust your workout regime accordingly to see more results. If you don’t need to elaborate tracking stats then you can use the basic step/sleep tracking feature. But if you want to take things further, you can do so at any time with the advanced features of the Charge 2. If well al the tracker that we mentioned in this page all have fashionable addons the flex 2 is the more stylish of the bunch, and when you add the Accessory Bangle you get a really fashionable tracker that will look like a piece of jewelry on your wrist. This combo is without a doubt a great deal and if you are on the look for a fashionable tracker this is probably the best choice available. The Flex 2 is today’s most affordable tracker from the Fitbit bunch and when you add the accessory bangle the result is amazing. From our selection, this is the only one that is waterproof allowing you get it under water for as long you want, but that’s not all it can also easily track the bases, calories, active minutes and sleep. The design from the regular flex 2 is pretty simple and minimalistic. But when you add the accessory it can be worn as a piece of jewelry for women. You can wear it casually at work or use it like a wristband at the gym, or use it with the accessory and go for a fancy night out. But that’s not all! you can also wear it as a pendant and that just adds to the beauty of any outfit you wear. So design-wise, you have many options to try. Talking about the Classic band, the texture of elastomer is pretty soft but not that fragile. It is petite instead. The other good thing is that once you put the clasp on, you can’t yank it so easily. So the closure is pretty good making it ideal for swims. This is the extra secureness you get only with Flex 2. The classic collection features several color options such as black, magenta, navy, lavender, grey, pink and yellow. The other fancier options include a bangle in rose gold, silver, and gold. It looks very fashionable yet classy. Then there come little pendants which also come in silver, gold and rose gold colored chains. Since the device is screen free, it will notify you with its lights. The lights will notify about call reminders, texts and more. Lifting your arm will help stop the vibration immediately. As far as tracking goes, it is very easy to use, something as simple as you can get. It will track your active minutes, steps, calories, hourly activities and sleep. The workouts and exercises that you can track include walking, running, biking, aerobic workouts, tennis, basketball, soccer and much more. It is compatible with Android and iOS devices. What size Fitbit Should Women Get? To get the best from your Fitbit tracker and use it all day long you need to feel comfortable with the tracker 24/7. so is important to know the exact size that your tracker is going to be so you are sure it will rest comfortably on your wrist. What do you need to measure your wrist? To be sure that the tracker you get at home fits properly we give you this table where you can get a real understanding of the size of the Fitbit that you are going to get. In case you have a printer at home, you can click on the Sizing Tool links below and get a Sizing Tool made from Fitbit and customized for the 3 devices that we talk before. You then print it out, cut it out, and try it to see which size fits your wrist in the best way. In case you don’t have a printer at home, you can also get a piece of string, wrap it around your wrist about 2 fingers below your wrist bone. Once you’ve done that, measure how long the piece of string is. Once you have that information, you’re ready to match your wrist size with a Fitbit band size. Which Fitbit size is the best for your wrist? All the Fitbit trackers will come in small and large sizes. In some cases, you can also get an X large size. If you know the circumference of your wrist, you will know which Fitbit size to buy. Is important to have in mind that all the Fitbit bands are slightly adjustable, so you may have a little bit of wiggle room. If you’re unsure, it’s best to go a size up and then use the Fitbit’s adjustable band to tighten it to your wrist. After all, you need to use the tracker lose enough so it feels comfortable on your wrist. For Fitbits that includes a built-in heart rate monitor like the Alta HR, position them about two fingers above your wrist bone. From the 3 Fitbits mentioned, we will say that there is something for everyone according to the budget as well as functionality. For the detailed metrics, Fitbit Charge 2 will be the best bet. As we said before is great for those women that like high-intensity workouts and need detailed metrics from a fitness tracker. The Alta HR comes out as the best smartwatch alternative for women who do not want to invest in bulky smartwatch and will like to track the running progress. This one looks stylish on the wrist and especially suit women. For the fashion conscious divas, Fitbit Flex 2 plus the accessory bangle will be the best choice. The Flex 2 by itself is also a good choice more for those women’s that need a track of their swimming.